There are many benefits to straighter teeth. Indeed, it leads to: healthy gums, easier cleanings, improved chewing and, a beautiful smile. Invisalign is the process of wearing clear removable appliances that are replaced every two to three weeks. Each cup is individually aligned and customized to your teeth and will complete the process of moving your teeth to their final prescribed position, like regular braces. 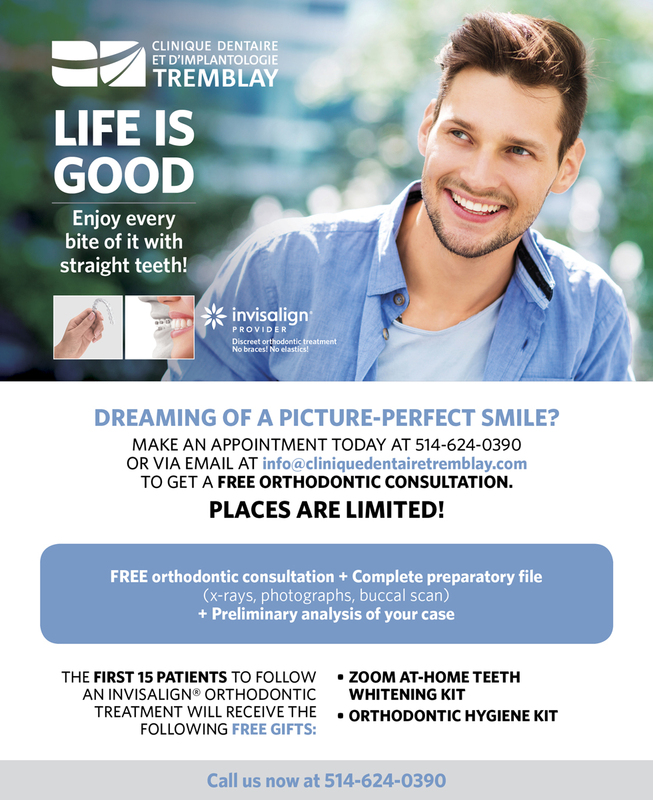 Many orthodontic problems can be treated with customed designed Invisalign. Cleanings are quicker and easier.